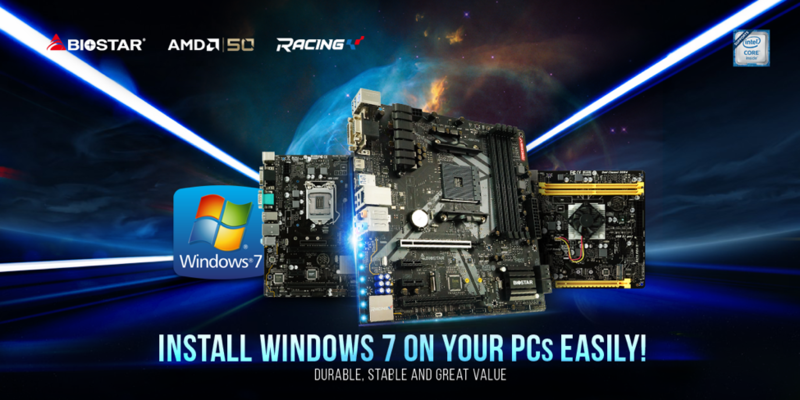 With Windows 10 now a primary user requirement for the majority of current generation motherboard models, BIOSTAR has today announced that its latest range of Intel and AMD models will include Windows 7 support. Since July of 2015 when Microsoft launched its Windows 10 operating system, its main focus has been shifting users from older versions to the current and latest one. One example is its decision to drop ongoing support from January 14th 2020 for its Windows 7 operating system which includes both securities, and support updates. Biostar is upending this by providing Windows 7 support for its product line. It is recommended that users looking to use Windows 7 on the supported BIOSTAR models take full advantage of the SHA-2 Security Update which is required beyond July 16th 2019. Not updating with security-focused updates prior to the impending SHA-2 security patch could lead to potential vulnerabilities. 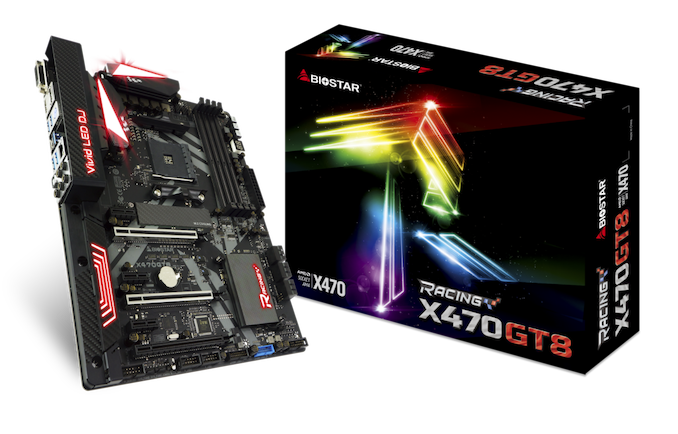 Note, on AMD's 300 and 400 series motherboards such as the BIOSTAR X370GTN and BIOSTAR X470GTN which we have previously reviewed, Windows 7 support is limited to its Bristol Ridge, Summit Ridge, and Pinnacle Ridge processors. Specifically for the supported Intel 300 series models, BIOSTAR is offering a tool which allows users to create a Windows 7 installation image onto a USB flash drive. The tool can be downloaded directly from the official BIOSTAR website, whereas an official guide to installing Windows 7 can be found here. As it currently stands, its B360 and Z370 models are exempt from the Windows 7 support roll-out. Whether support for the models such as the BIOSTAR B360GT5S, B360GT3S, Z370GT7 and Z370GT6 are to come at a later date is currently unknown. For quick reference, the supported CPUs on the AMD side are Bulldozer SoC (Bristol Ridge) and Ryzen CPU (no GPU - Pinnacle and Summit Ridge). The IGPs work fine. I have run Skylake, Kaby Lake, and Coffee Lake all with Win7. The only issue I ever had was the obvious one of getting the installer to load and be happy with UEFI mode over USB. The Ryzen APUs work just fine, too, although you have to play with an ini file to get the latest graphics drivers to install. I absolutely could not get 7 to work with a Raven Ridge APU - hard bluescreen lock as soon as it tried to start. "All of the barriers to using Win7 with new hardware are ones that were explicitly imposed by Intel/MS, there are no inherent issues with the hardware." No, the barriers are the result of consumer demand.